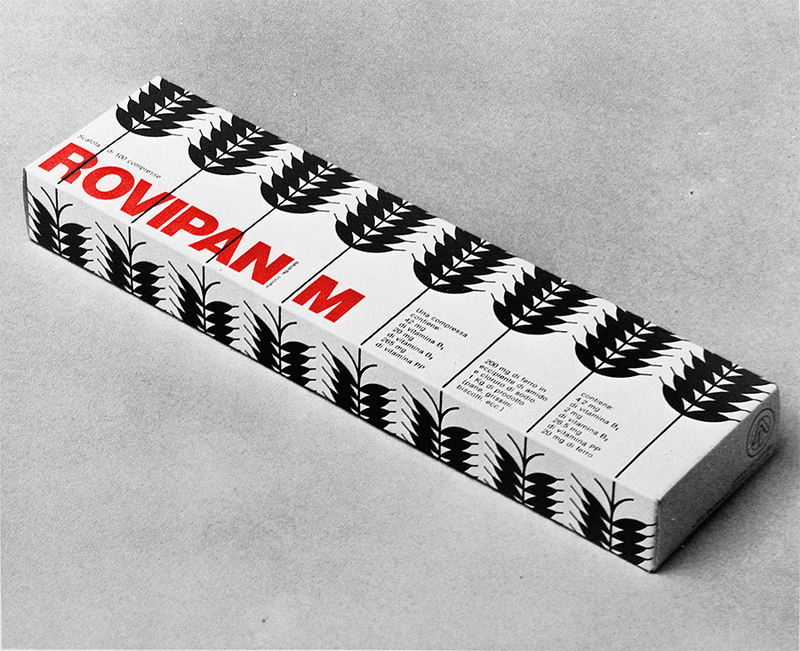 Armando Milani is an internationally acclaimed Italian graphic designer, the elder brother of Maurizio Milani. 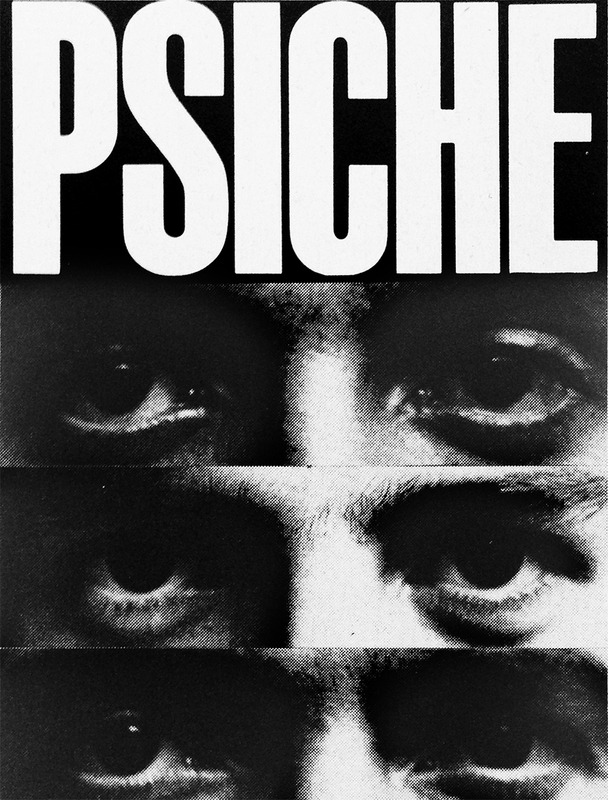 From 1959 to 1963 he studied at the Umanitaria School in Milan—then the most famous graphic design school in Italy—under Albe Steiner, a pioneer of Italian graphic design. In 1965 he started working with Giulio Confalonieri—a prominent graphic designer—and since 1967 he collaborated with Antonio Boggeri, the founder of the pioneering Studio Boggeri. The same year he opened his own studio in Milan focusing on corporate graphics, marks, and posters. 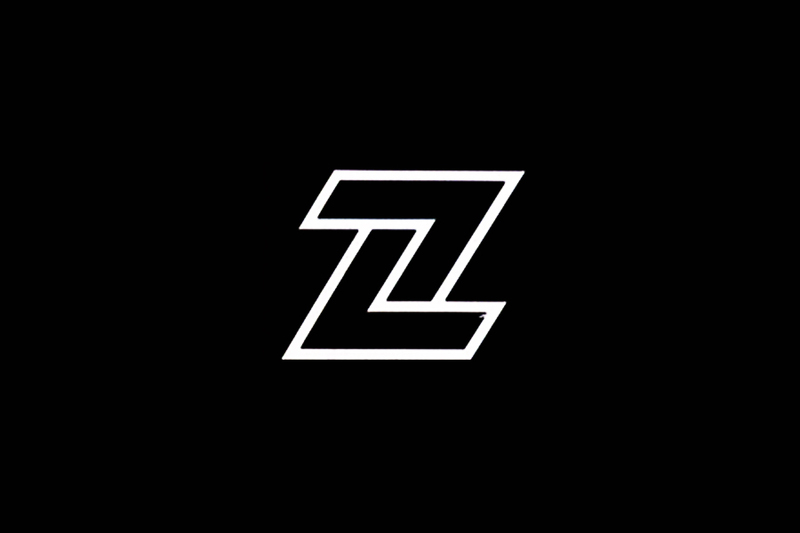 In 1976 his brother Maurizio joined him and the year later he moved to New York City to work with Massimo Vignelli at Vignelli Associates, where he worked major projects including the corporate identity programs of Lancia Automobiles and Ciga Hotels. In 1980 he opened another Milani Deisgn’s office in New York City. During his career, he served prestigious clients including DePadova, Montecatini Edison, Roche, Touring Club of Italy, and the United Nations designing many beautiful announcements, books, marks, and posters. From the beginning of the 21st century he started to focus more and more on social communication, dedicating himself to the illustration of posters aimed to direct the attention of the public on social themes with an international impact. In 2003 he dedicated to the United Nations a poster for the world peace, that has already become a world classic. He taught and lectured at The Cooper Union and the Art Directors Club in New York, the Santo Domingo School of Design, the University of Beijing, the IED (European Institute of Design) and the Politecnico University in Milan. During the past years he also gave a series of workshops at his olive mill in Le Rouret, south of France. 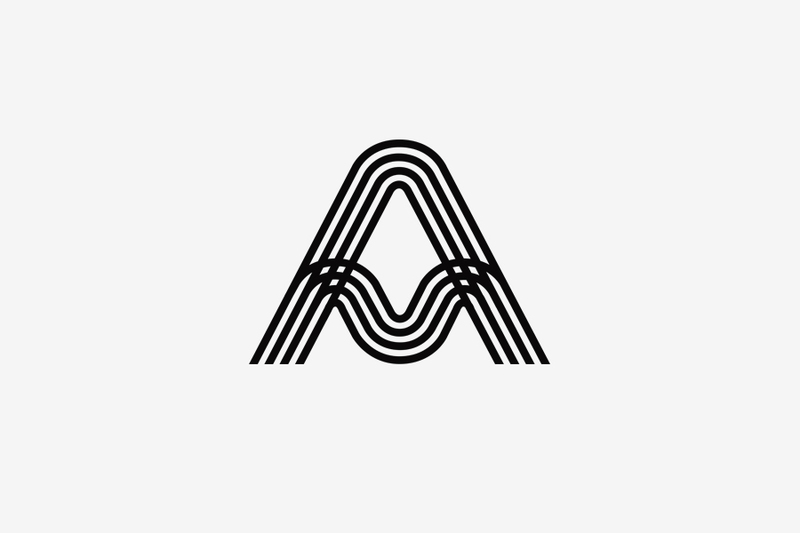 Member of AGI (Alliance Graphique Internationale) since 1983. Honorary member of AIAP (the Italian Association of Communication Design) since 2014. His work has been published on some of the most important design magazines including Abitare, Domus, Linea Grafica, Novum Gebrauchsgraphik, and Print. He exhibited in Brazil, France, Germany, Italy, Japan, Mexico, Spain, and the U.S.A. 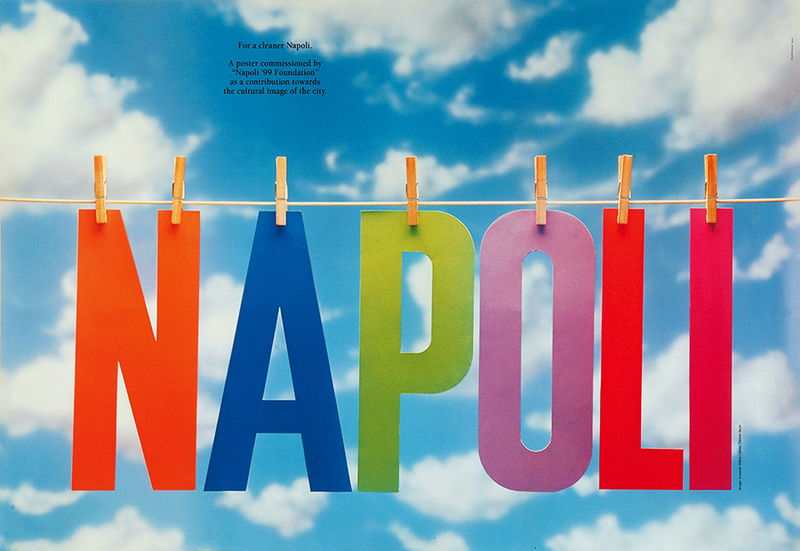 In 2004 a poster he designed was awarded a Compasso d’Oro Honorary Mention. He published several books including “A double life of 80 AGI designers” (Burgo, 1996), “50 Poems by Lawrence Ferlinghetti. 50 Images by Armando Milani” (GAM, 2010), and “No Words Posters” (RIT Press, 2015) that collects a series of two hundreds posters by over one hundred designers from all around the world. During the early 1960s I attended the Umanitaria School in Milan under Albe Steiner. Later, I started to collaborate with Giulio Confalonieri in 1965 and with Antonio Boggeri in 1967. 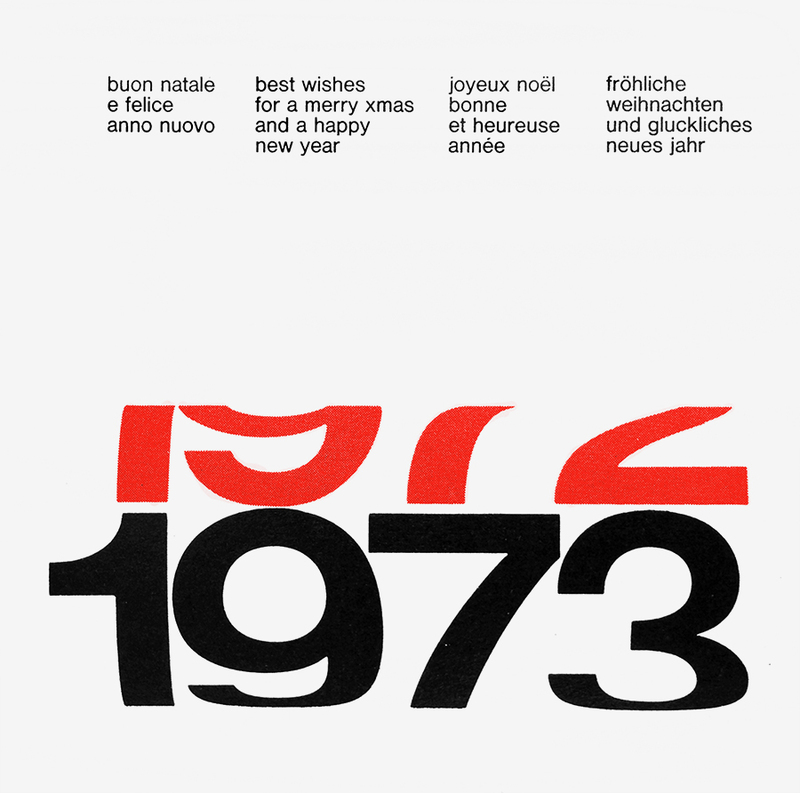 While in 1977-78 I have worked with Massimo Vignelli in New York City. 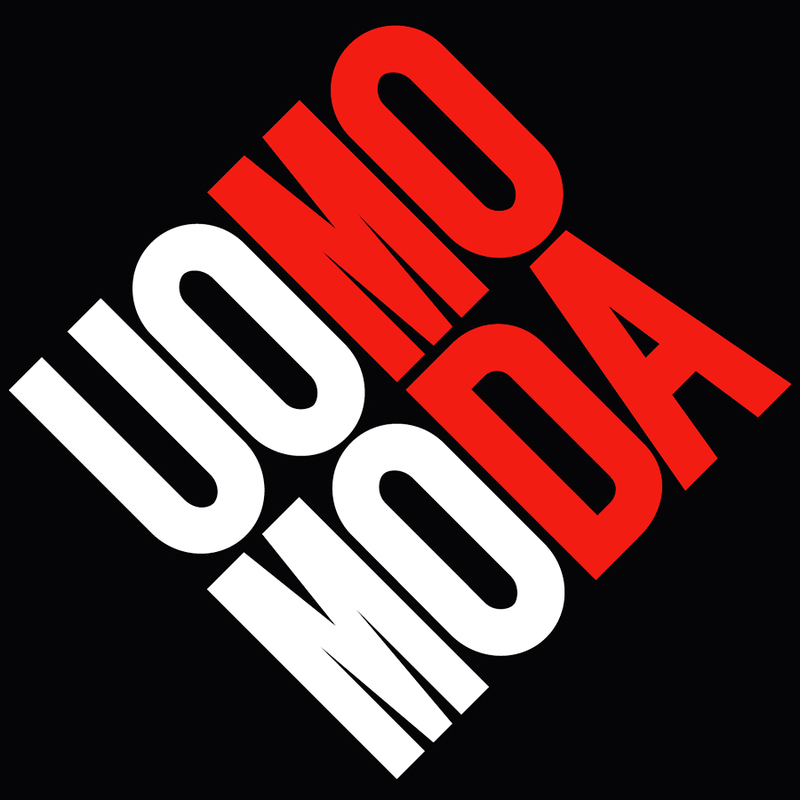 It started in 1967 when I have opened my own design studio in Milan. And again in 1980 when I have opened a new office in New York City. Initially, I was really interested in Russian Constructivism and Swiss typography. Later, I started to being more interested in a less conventional design, voted to a typical British sense of humor which I think is a fundamental component of visual communication. While the American experience lead me to a more pragmatical attitude towards the solution of design problems. Probably today my work is a global expression of all these experiences. What is the project that you remember with more pleasure and interest? 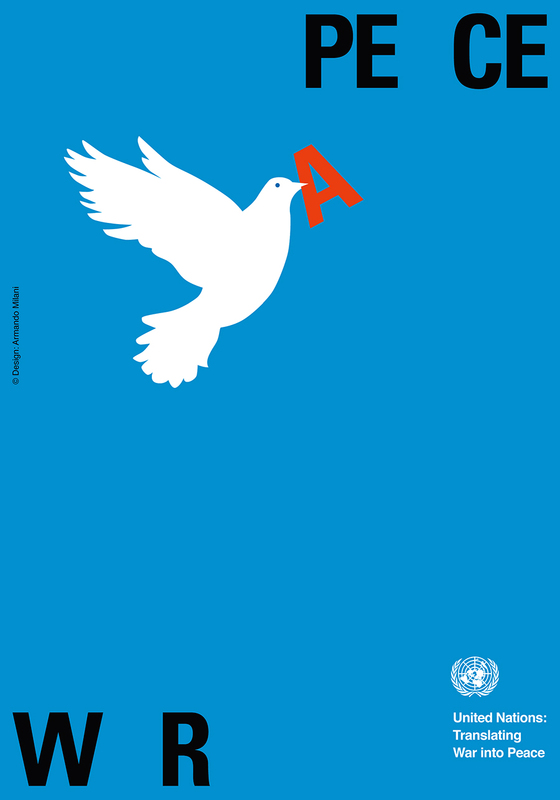 I designed many books, marks, and posters that have been published on many international magazines, but the work that I prefer is a poster designed ten years ago for the United Nations which is still exhibited today all over the world. During a design meeting in New York City I have showed this poster and five hundred people stood up for a one minute standing ovation. It was unforgettable! 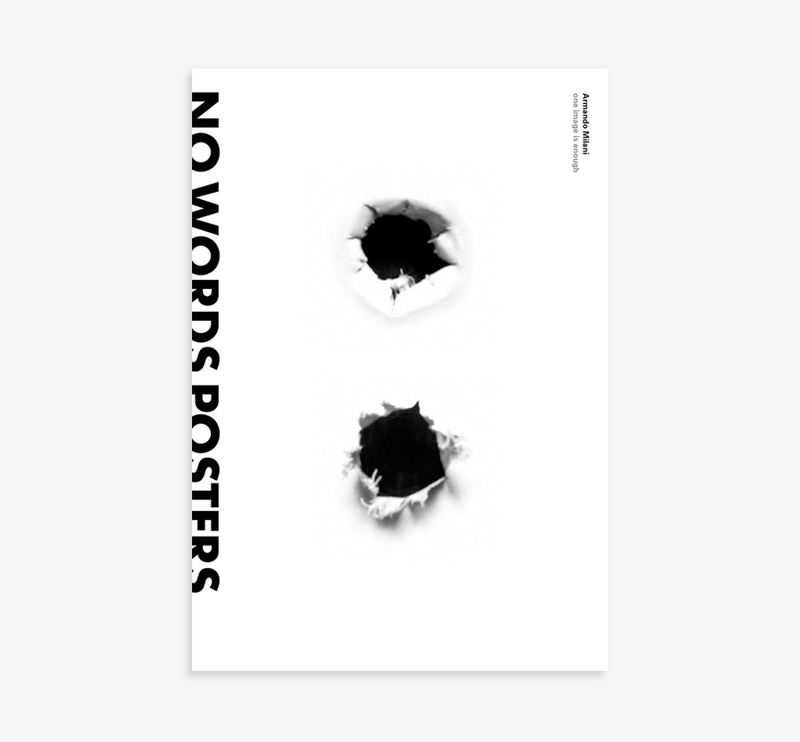 Armando Milani, No Words Posters, 2015, RIT Press. A project you would like to design. A book about social posters without words (“No Words Posters,” RIT Press, 2015), where symbolic images don’t need any word to convey a meaning. A collection of messages that could be understood by any culture in the world. A book dedicated to humanity. A designer whose work you admire. The work of the prestigious german designer Pierre Mendell. 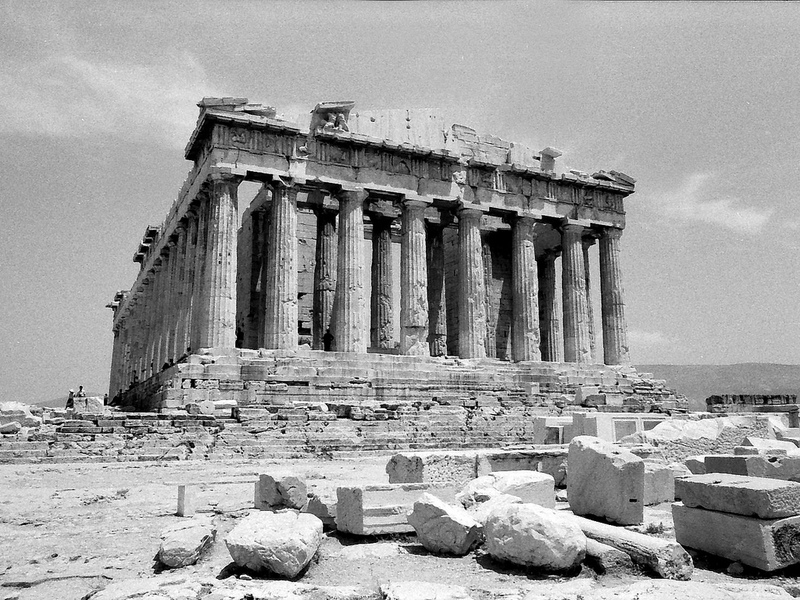 Iktinos and Kallikrates, Parthenon, 447-432 B.C. Athens. Photographed in 1968. Arco lamp by Achille and Pier Giacomo Castiglioni. It is difficult not to consider technology given its impact on generations of young designers. When I was at school and we drew by hand a Bodoni capital ‘S’ we practice to develop a sensibility, a sense of proportion, that is impossible to achieve by pressing a key on the board and choosing among thousands of fonts of which 99% are horrible and unuseful. Considering this, it is clear that the current approach to design is mostly based on intuition rather that reflection, thus implying ephemeral results. Good design does not follow any trend, but it is based on intelligence. Good design is timeless. I think that today’s designers are more interested in the form than in the content. The advent of computers has entailed the wrong belief that anyone familiar with technology could be able to design a mark or a magazine page without any advice from a professional designer. Start with training periods with great designers, especially abroad. Read and discover everything about the history of graphic design. To understand where we want to go we need to know where we come from. And to break the rules—if we want to be original—first we need to know them. I like to think of evolution not revolution of graphic design. It immeditaly communicates messages that are socially correct, with synthesis and elegance, and if possible without any word. A balanced mix of ethics and aesthetics. Which was your favourite game when you were a child? © 2013-16 Armando Milani, Nicola-Matteo Munari. All rights reserved. A beautiful poster from a series of three. 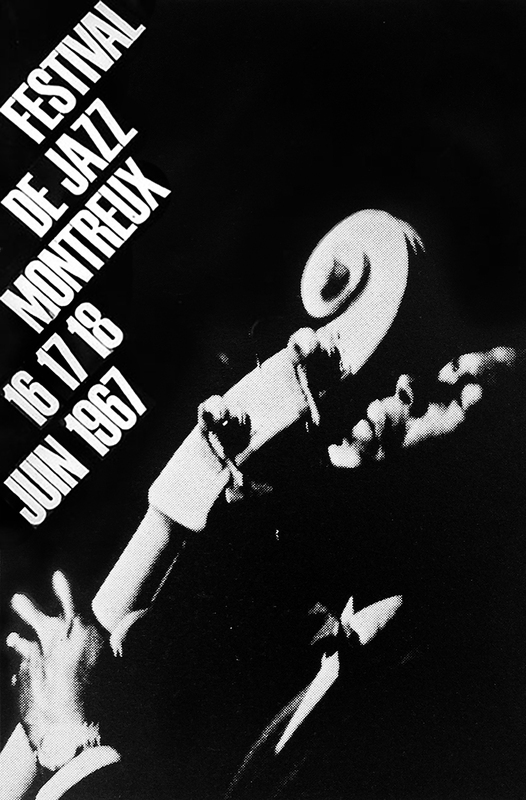 It was designed for the Montreaux Jazz Festival. Typography is inclined according to the photograph, so that each line of text seems to spread from the cello. The legible but strong typeface is Schmalfette Grotesk that Milani masterly used during his whole career. Black and white help to communicate the essence of the music to which the poster refers, and produce a delicate image immersed in a noir, nocturnal atmosphere. Previously unseen on the internet. 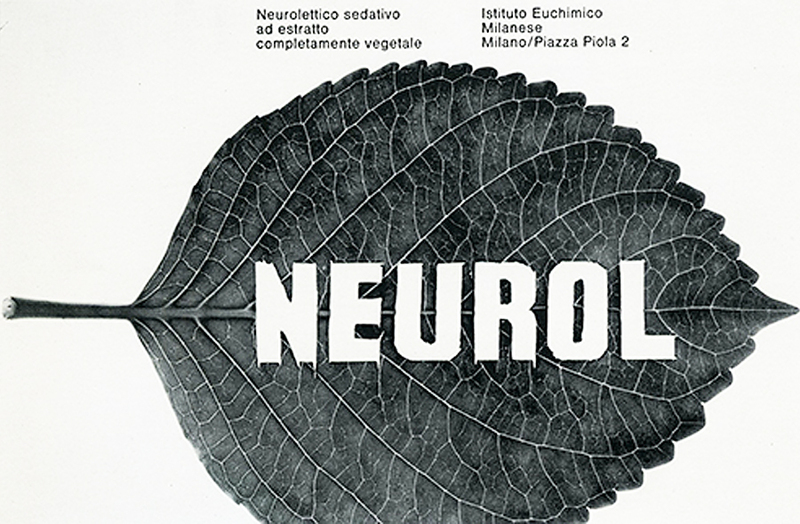 Advertisement for a vegetable sedative produced by the Istituto Euchimico Milanese (Milan Chemical Institute). Again, a delicate image that perfectly communicates the vegetable origin of the sedative. Originally printed in colors. Previously unseen on the internet. Pack for animal feed by Istituto delle Vitamine—Roche (Vitamin Institute, Milan). The schematic layout produces a clear communication and a rhythmic pattern. The image has been recolored. Previously unseen on the internet. Label for animal feed by Istituto delle Vitamine—Roche (Vitamin Institute, Milan). It features legible typography, and stylized animal silhouettes that produce an appealing pattern. Previously unseen on the internet. An excellent mark for an import-export company based in Italy. It perfectly communicates the idea of in-out movement simply shaping the company’s initial. The year of design is uncertain. 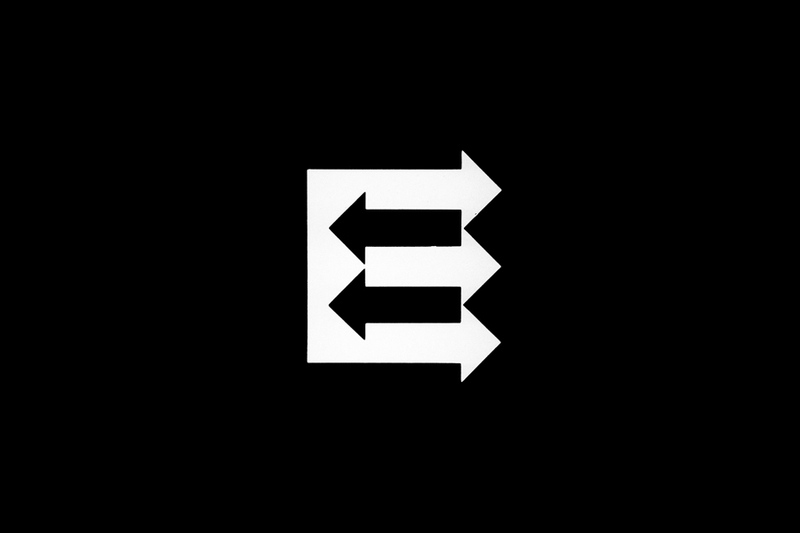 It is also credited to have been designed in 1963, as the first mark designed by Milani. Brochure cover for Midy pharmaceutical company. The text reads: “Emotional instability. Somatic effects.” The idea of instability is perfectly communicated through a series of warped strips of paper, producing a meaningful and delicate image. Previously unseen on the internet. New year’s greetings designed for the Roche pharmaceutical group. The warped figures produce the perception of spinning, letting the new year to substitute the previous one. The image has been recolored and redrawn. Previously unseen on the internet. Designed to promote a seaside village called Costa dei Ciclopi (Coast of Cylcops), Sicily. 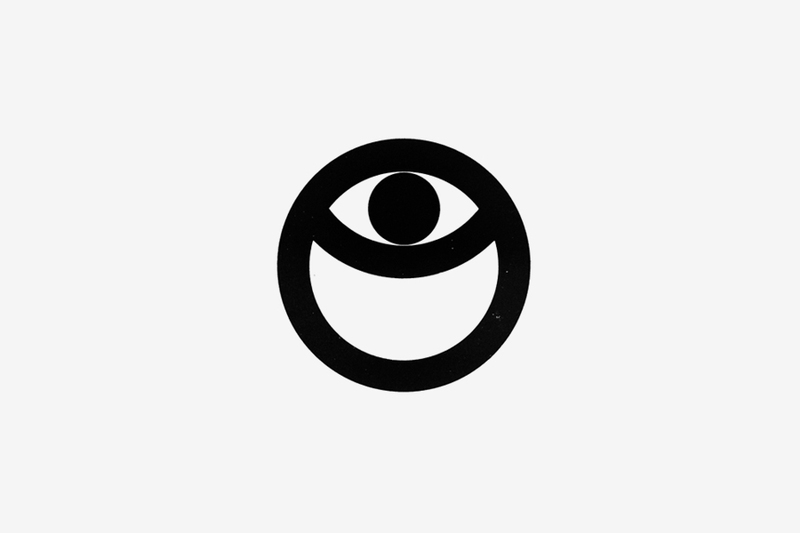 The eye immediately recalls Poliphemus and his one-eyed companions. 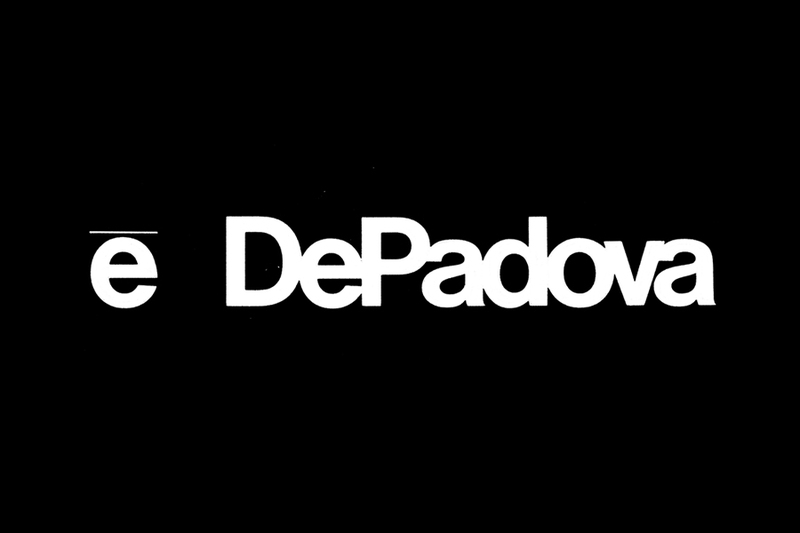 Logotype for the famous Italian furniture brand DePadova, Milan. The historic showroom of DePadova featured a modular glass façade with black iron frames displaying the company’s logotype all over it. It was a major modern design landmark. Sometimes the logo is credited to have been designed in collaboration with hungarian born designer Tomás Gonda. 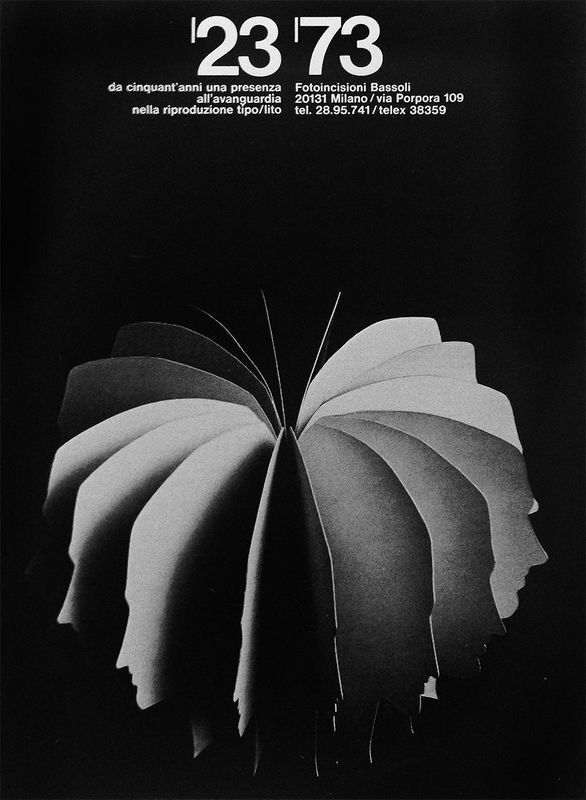 A promotional poster for the 50th anniversary of a photogravure company based in Milan. 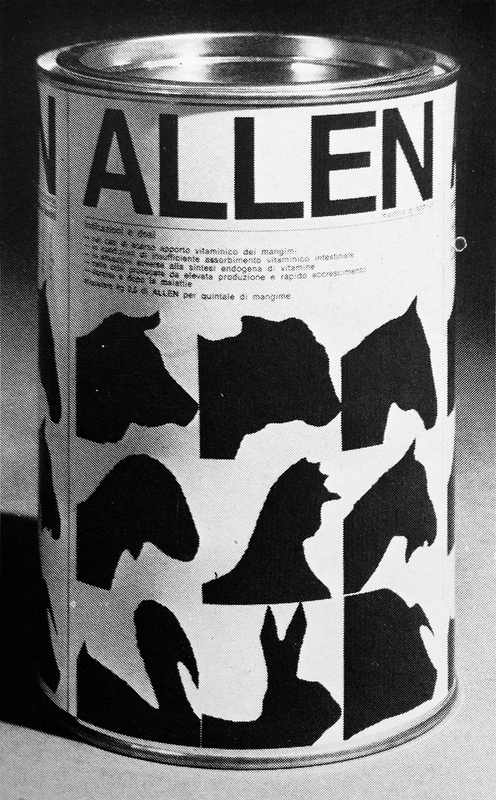 The text reads: “Since fifty years we are an avant-garde presence in typographic and lithographic reproduction.” The idea of reproduction is clearly represented by the spinning head silhouettes, that also communicate the idea of team and vision. Previously unseen on the internet. 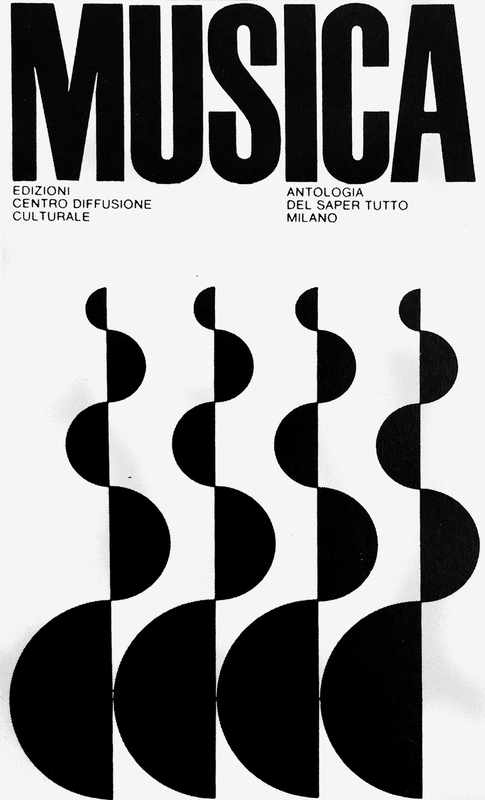 Published by Centro Diffusione Culturale (Cultural Diffusion Center), Milan. Previously unseen on the internet. Designed for the auditorium of the pharmaceutical company Midy. It elegantly joins the two initials in a single monogram. Book cover for Centro Diffusione Culturale (Cultural Diffusion Center), Milan. The close-up on the eyes while making different expressions is an effective way to communicate the reader what the book concerns. Previously unseen on the internet. Designed for a household appliances manufacturer, it shows the great talent of Milani in mark design: he used the same shape repeated twice to obtain a synthetic but dynamic sign. His brother Maurizio also designed for the same company. 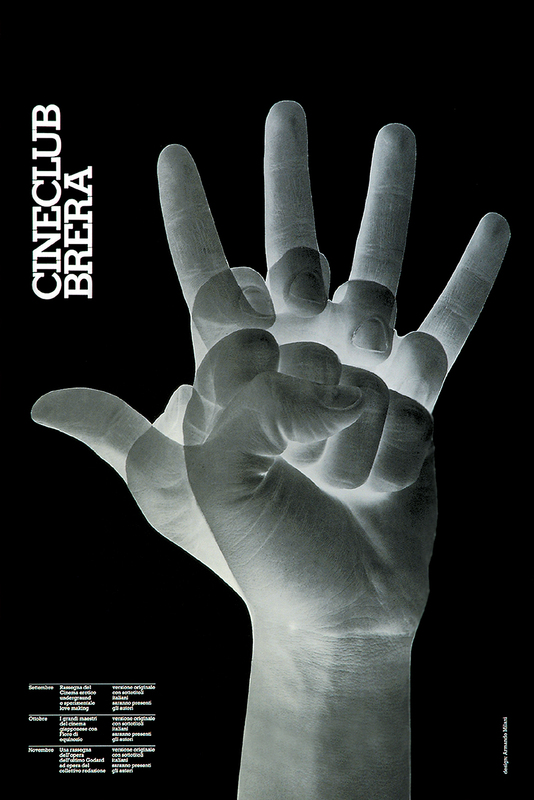 Promotional poster for the Italian Cultural Institute of New York. An elegant and timeless graphic layout. This is the first project in this portfolio designed after the collaboration with Massimo Vignelli (1978-79) and his influence is quite clear, not only because of typography, colors, and black rules but mostly because of the rigourous and quiet layout. Designed for Napoli ’99 Foundation “as a contribution towards the cultural image of the city.” Milani ‘literaly’ cleans up the city by putting his name out to dry. 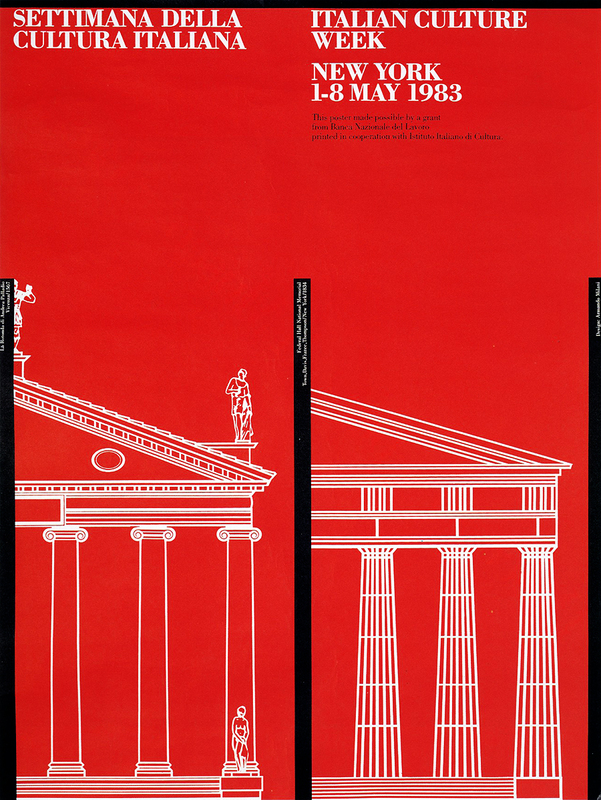 It is part of a series of twenty-four posters designed by some of the most-known graphic designers of the 1980s. 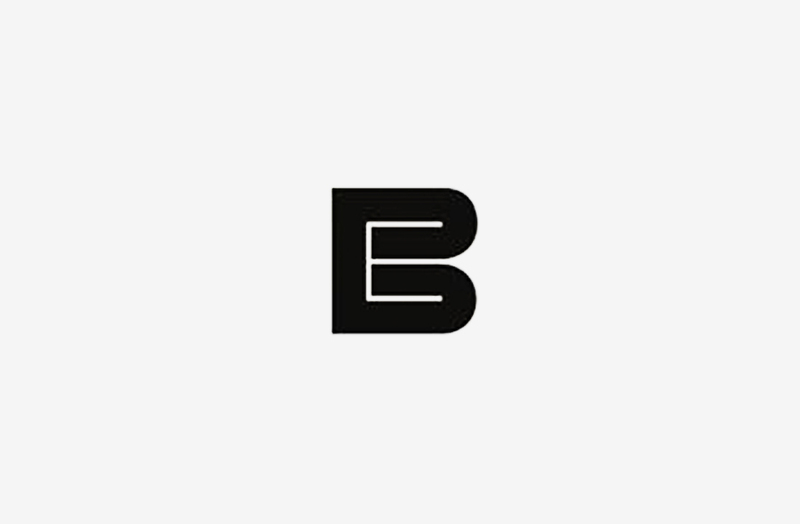 Mark designed for an investment firm based in New York City. A beautiful and effective synthesis of both letters in a single shape. Designed for a fashion event based in New York City. It could be both read horizontally or vertically, according to the colored columns. Designed for the United Nations. This beautiful poster has already become a classic icon worldwide. 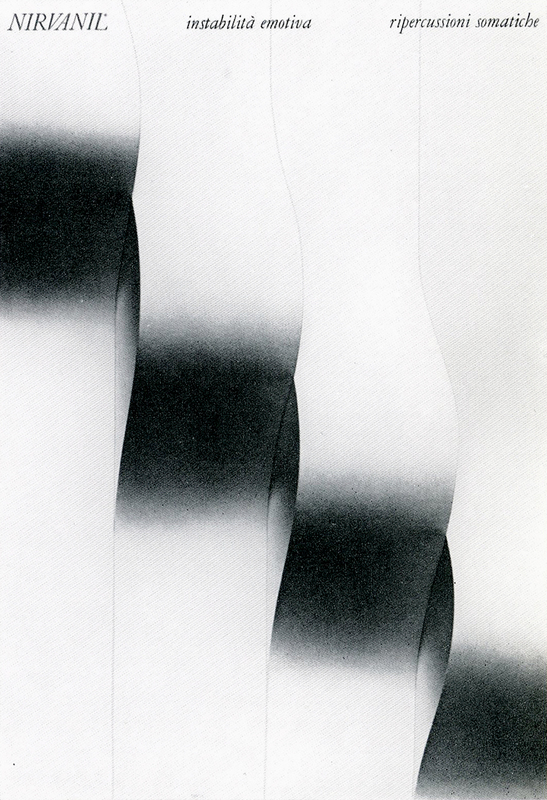 Although Milani produced many other beautiful posters, I have decided to stop the portfolio to this work because it symbolizes the beginning of a new attitude in his career which is oriented towards symbolic illustration—thus resuming the artistic tradition of the ‘affiche’—rather than systematic design, that is the core focus of Designculture.